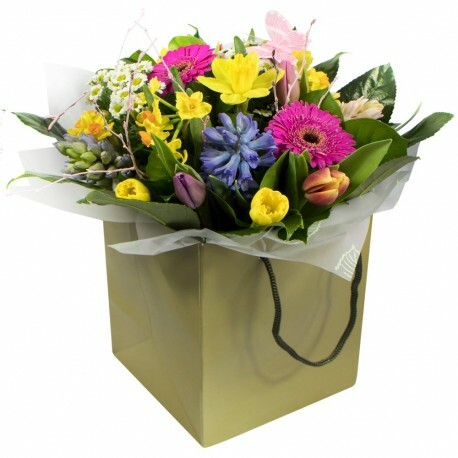 A spring hand tied petite gift bag in vibrant colours with a mix of flowers. Available for delivery on Mother's Day or any other day of your choice. Please note that this is a spring arrangement of ordered out of season the flowers will vary greatly.